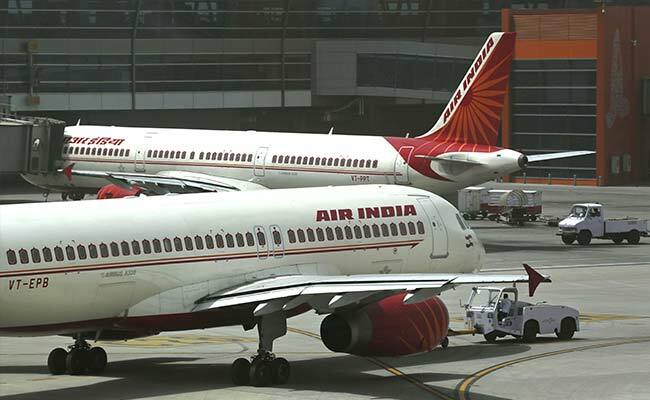 The Cabinet Committee on Economic Affairs (CCEA) gave its in-principle nod to the strategic disinvestment of Air India -- which has a debt burden of more than Rs 50,000 crore -- in June this year. New Delhi: National carrier Air India plans to take short-term loans of up to Rs 3,250 crore to meet "urgent working capital requirements", according to a document. The disinvestment-bound airline, which is staying afloat on taxpayers' funds, expects to get the central government's guarantee for the proposed borrowings shortly. As part of efforts to revive the loss-making Air India, a ministerial panel is working on the modalities for strategic disinvestment of the carrier and its five subsidiaries. Against this backdrop, the airline seeking short-term loans assumes significance as it implies possible funds crunch. In a tender document issued on Wednesday, the carrier said it is "looking for government guarantee backed INR short-term loans totalling up to Rs 3,250 crore in the first phase to meet its urgent working capital requirements by September 25, 2017". The tenure of the loan will be one year and the amount is proposed to be drawn in two or three tranches. A senior official said the airline is already facing "cash deficit" and the loans will help in meeting immediate capital requirements. "The Government of India guarantee, which is expected shortly, will be valid for a period of one year or till the date of disinvestment," the document said. The Cabinet Committee on Economic Affairs (CCEA) gave its in-principle nod to the strategic disinvestment of the airline -- which has a debt burden of more than Rs 50,000 crore -- in June this year. Subsequently, an Air India-specific alternative mechanism was set up to guide the process. The ministerial group is looking into treatment of Air India's unsustainable debt, hiving off of certain assets to a shell company, demerger and strategic disinvestment of three profit-making subsidiaries, among other aspects. Last month, the ministerial panel decided to appoint transaction advisors for Air India disinvestment.